At Formnext 2018, the world’s leading exhibition for additive manufacturing (AM), Sandvik is announcing that it has substantially increased its capacity for metal AM by installing several new Renishaw RenAM 500Q quad laser machines. 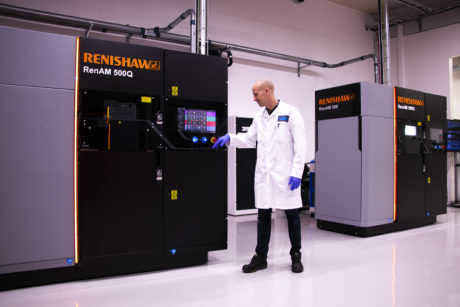 The company is also initiating further collaboration with Renishaw in areas such as materials development, AM process technologies and post-processing. This print capacity expansion follows a recently announced investment, amounting to 200 million SEK, in a new plant for the manufacturing of titanium and nickel powders for additive manufacturing, which will complement Sandvik’s existing Osprey™ powder offering to include virtually all alloy groups of relevance today. The new multi-laser RenAM 500Q systems complement Sandvik’s existing AM machines, which include printers from EOS, Concept Laser, Arcam and ExOne. 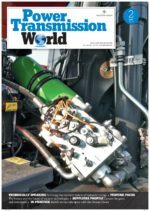 As a collective, the machines now cover a very wide range of printing technologies for different materials and applications. When it comes to additive manufacturing, no two use cases are the same – the optimal balance of weight, strength, hardness, thermal characteristics, flexibility, geometric complexity, surface finish and other characteristics varies from one application to the next. Therefore, Sandvik works across the entire value chain, from component selection, AM-design and modelling, through material choice/development and optimal printing process, – to post-processing, testing and quality assurance. While much attention in the AM arena focuses on revolutionary designs, innovation at material level is equally important. With its Osprey™ range of metal powders, Sandvik has the in-house capability to produce the market’s broadest portfolio of alloys, coupled with the metallurgical expertise to customize the best material for every application. The AM customer cases Sandvik is set to display at Formnext 2018 in Frankfurt will showcase different materials, different AM process technologies and tailor-made post-processing methods. Highlighting the possibilities, exhibits will include coolant clamps for Seco Tools that are made from maraging steel and feature curved internal channels to improve cutter performance and lifespan. Staying with the machining theme, also on display will be a Sandvik Coromant CoroMill® 390 milling cutter. Made from titanium, the tool is up to 80% lighter and up to 200% more productive. Further exhibits are set to include Varel nozzles manufactured from cemented carbide, which are not only printed on demand to reduce inventories, but feature tailor-made threads that are tough enough for drilling in the oil and gas industry. Also on the stand will be sliding cases made from maraging steel for LKAB Wassara. The sliding cases are two-piece parts printed as a single unit – featuring internal channels – ready for underground hammer drilling with radically improved performance and increased service life. All of these components are genuine industrial customer cases at different development stages, each one leveraging the full AM value chain to deliver clear improvements in performance, functionality, productivity or effectiveness. Visitors to Formnext (13-16 November 2018) will find these Sandvik AM customer cases and a selection of Osprey™ powders in Hall 3.1, Stand C10.